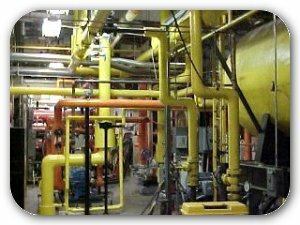 Health and OSHA safety regulations require all employers to identify any pipes conveying dangerous substances. Unmarked pipes are a danger to both life and property. Accidents caused by negligence lead to both physical and psychological grief and often cause companies large amounts of money! Our SafetyPro Industrial Labeling System is a pipe marking kit that no facility should be without! 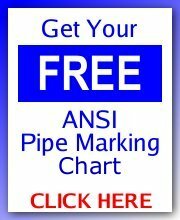 Design and print all your pipe marking requirements in-house for less! Indoor/outdoor peel and stick vinyl come in OSHA yellow, green, blue and red colors. Chemical resistant media will print either black or white script! A 2" x 12" pipe marker would cost less than 80 cents to produce!